We specialists in organizing Everest Rolwaling Trekking holidays. Spectacular views are waiting for you in Everest Rolwaling Trekking! Everest Rolwaling Trekking is world famous walking holidays. Everest Rolwaling Trekking is most popular trekking trail of Everest region. Everest Rolwaling Trekking is the ideal destination for tourism in Nepal. Trekking to Everest Rolwaling Trekking is one of our popular adventure holidays. We offer special rates with best service on your Everest Rolwaling Trekking. This region lies between Langtang range and Everest range and the side of both Mount Langtang & Mount Everest are the highlights of this trek. 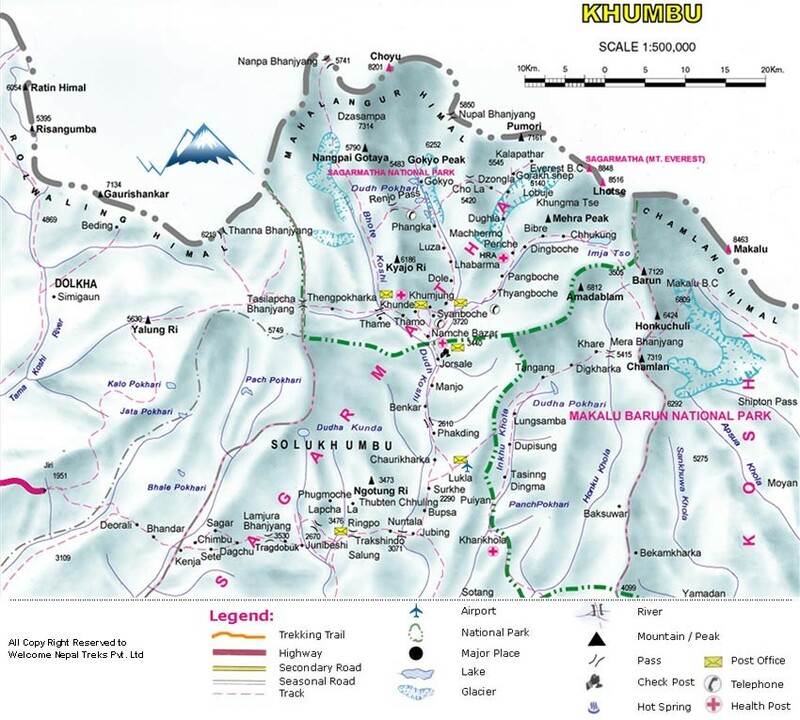 Though it neighbors the world famous Khumbu Valley, Rolwaling Valley is explored by very few tourists. The reason is its geographical intricacy which has kept the region’s natural as well as cultural beauty intact. The valley is abundant with alpine lakes, hanging glaciers, moraines, high pastures, waterfalls and imminent view of snowy peaks in the backdrop. En route as we start following the Rolwaling River, the area will be rich in floral and faunal aspect because of fewer intruders. Sherpa’s of Rolwaling enjoys unspoiled culture and practice of rituals comparing to their Khumbu counterpart. As the stay of tourist is controlled in Rolwaling, local youngsters leave home in trekking season to make living by guiding, leading and assisting expeditions and portering in neighboring valley. The dark narrow valley of Rolwaling opens wide near villages of Beding (3,510m) and Na (4,120m). Here one can easily spend few days exploring Yak pastures and taking side trips to Yalung Base camp. Above Na Gaun, the trail meanders up to a high lake named Thso Rolpa (4540m) and up to the lateral moraines of the Rolwaling glacier below the Rolwaling icefall (5181m). After two days of rugged glacier walking one reaches high Tashi Lapcha Pass (5755m). On the other side of the Tashi Lapcha, the trail drops down into Thame village (3790m) on the Khumbu valley. The trekkers will be rewarded with the enchanting view of Majestic Mount Gauri Shanker. This area is mostly used by Buddhist people However, we can also see the Brahmin, chhetri, Tamang and Sherpa villages and theirs life style. The trek to this region starts from Dolakha, a small township near Charikot, an 8 hours drive from Kathmandu. The trail following the course of river Tamakhosi on the way to Simigaun adds more thrills to the trek. Day 01: Kathmandu (1320m) Arrival at Tribhuvan International Airport (TIA). Upon arrival at the airport, you would be received by our representative and then transfer to hotel. Day 02: Sightseeing in historical places in Kathmandu and preparation for the trip. Day 05: Tinsang pass to Loting (1,790m) via Bigu Gompa. Day 11: Rest day for acclimatization and explore the Na and overnight at tented camp. Day 02Sightseeing in historical places in Kathmandu and preparation for the trip. Day 05Tinsang pass to Loting (1,790m) via Bigu Gompa. Day 11Rest day for acclimatization and explore the Na and overnight at tented camp. There are electricity available in some of the villages on our Everest Rolwaling Trekking where you can re- charges your camera batteries and there is solar power in some villages we trek through and you can recharges your batteries in those places as well if they have enough power and we suggest you to have spare batteries as well and you will have to pay some for recharging batteries. Welcome Nepal Treks organize Everest Rolwaling Trekking for single people to maximum 15 people at once or even if you have more than 15 people then we can split the group in to two or more groups (according to the number of trekkers) however you all can walk together and stay at same guest house and there are only different guide, and there are 1 guide up to 10 people and 2 guide for 11-15 people and a porter for each 2 trekkers. Else, join our estimated group departure dates available online or ask us with your personal dates, we will open group date on the same date. The Everest Rolwaling Trekking is available on both fixed departure and private basis, If you are looking for a group to join then please check our fixed departures dates and ask for availability or if you would like to travel independently, or with your friends, families & colleagues then you are invited to choose any date like every day at your convenient timeframe for any number of people. Personal expenses depend largely on your habit and as the meals are included on our Everest Rolwaling Trekking cost ,so, you only need money for table drinks (alcoholic/non alcoholic beverages), snacks while walking (some smaller shops are available along the trail in the areas), tips, souvenirs, hot shower (available in some places), and meals ( A meal cost 5-7USD in Kathmandu) for your Kathmandu stay, entrance fees ( approx: 25USD) while your tour in Kathmandu, if you do not drink alcohol and sopping then 12-15USD per day should be enough for the hot drinks, shower and snacks on trek and Tips are appreciated by your support team after the trek. The amount depends on your budget and appreciation of their work. As a suggestion, we advise you to allocate 10 - 15% of the total tour cost as tips to the staff and you can do this if you feel the services have been good. It's not necessary to spend a lot of money buying equipment for the Everest Rolwaling Trekking in your country as Majority of these gears can be bought at reasonable rates in Kathmandu. In case of a serious sickness or a casualty while you are on Everest Rolwaling Trekking (which we believe will not happen), we will do everything to transfer you to the nearest hospital to save your life (this has happened to us few times) and you are entirely liable for all the expenses incurred in evacuation/rescue, so, please make sure that these expenses are covered by your insurance policy before assigning for the trek or be prepared to pay on your own after getting back to Kathmandu. Ensure that you’ve insured yourself before doing the trip, Common sense dictates this, it’s good for you and please visit Nepal Travel insurance page for more info about it. You are required to make 30% (non refundable) payment in advance in order to confirm and book Everest Rolwaling along with your passport copy and flight detail (Arrival detail, flight name, number and time) and the remaining 80% balance is payable when you arrive in Nepal and you have options of paying the advance by bank transfer or credit card, so, do let us know which modes of payment is convenient for you then we will forward the detail for payment. In addition of Everest Rolwaling Trekking , we organize extensions both within Nepal and other neighboring countries like Bhutan and Tibet of you have time and want us to arrange your extensions tours, you may do water rafting or a jungle safari, Pokhara tour or Lumbini Tour in Nepal or Bhutan or Tibet tour.